AFS has been named the Australian distributor for custom made, custom fit kneepad brand ProKnee. The American-made kneepad brand, which prides itself in specializing in occupational knee injury prevention since 1989, will be in stock at AFS from mid-June 2017. AFS will stock ProKnee’s two most popular models, the custom-fit shin-to-knee model 0714 and the one-size fits all model AP16. Suitable for installers who work on hard floors, all parts in both models are replaceable. 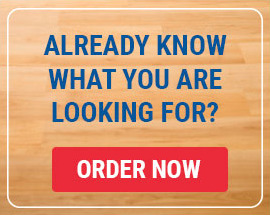 The premier 0714 model was designed to eliminate knee pain for professional flooring installers. The knee-to-shin support system is designed to remove pain and stress from the knee joints by spreading weight across the length of the kneepads. The one-size fits-all AP16 model features a shorter shin pad but still includes ProKnee’s knee pocket shape and flat bottom design to stabilise the knee-joint, reduce joint wear-out and knee burn pain. To be fitted for the ProKnee 0714 installers can simply visit their local branch for a quick measure. For more information contact the AFS Customer Service Team on 1300 737 155.